Command a squad of well armored tanks and blast your enemies in blitz attacks deep inside the enemy territories. 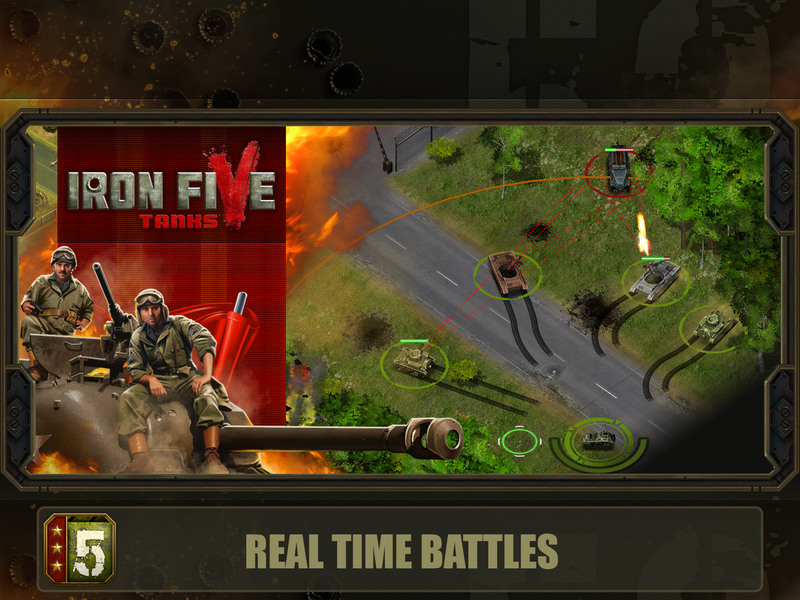 New real-time tactical warfare game Iron Five is waiting for you! Improve your squad, battle against other Commanders and become the best of the best in the Arena. 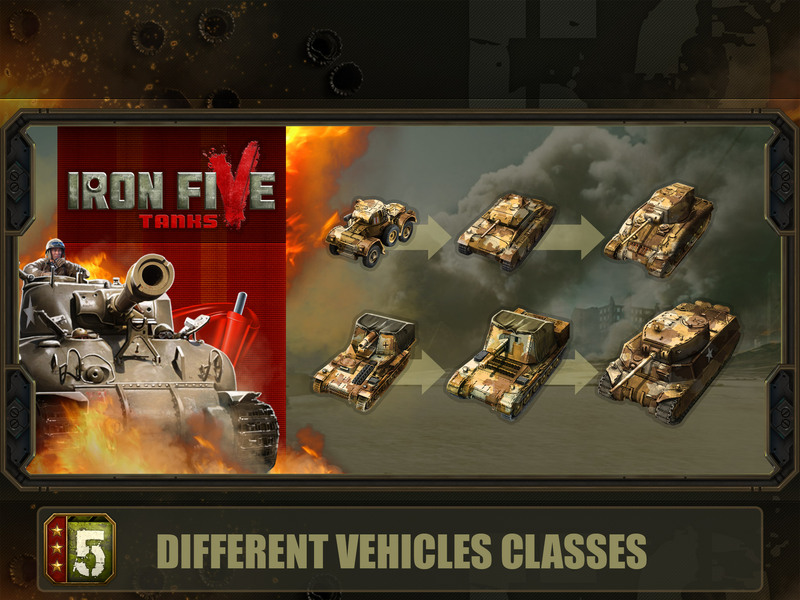 Can you get the best tank in the game and dominate all other players? 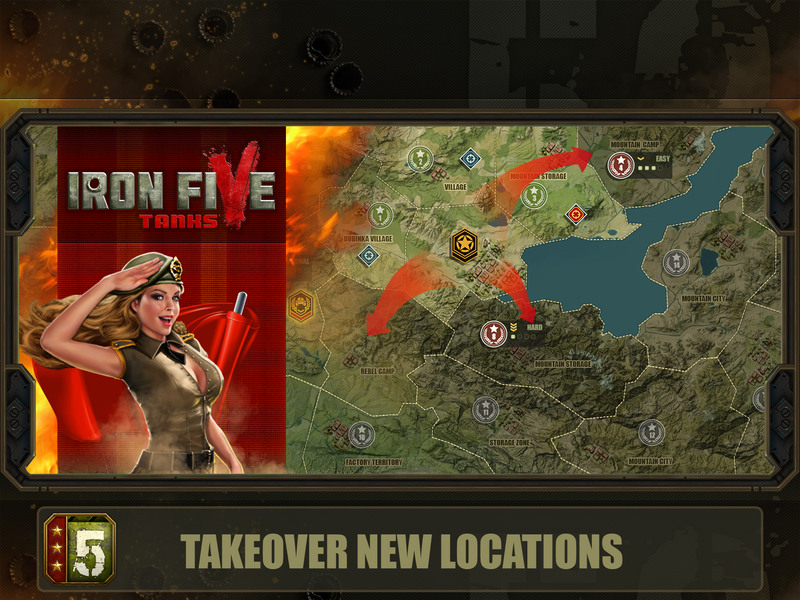 Face off against enemy tanks as you progress through in an exciting campaign. 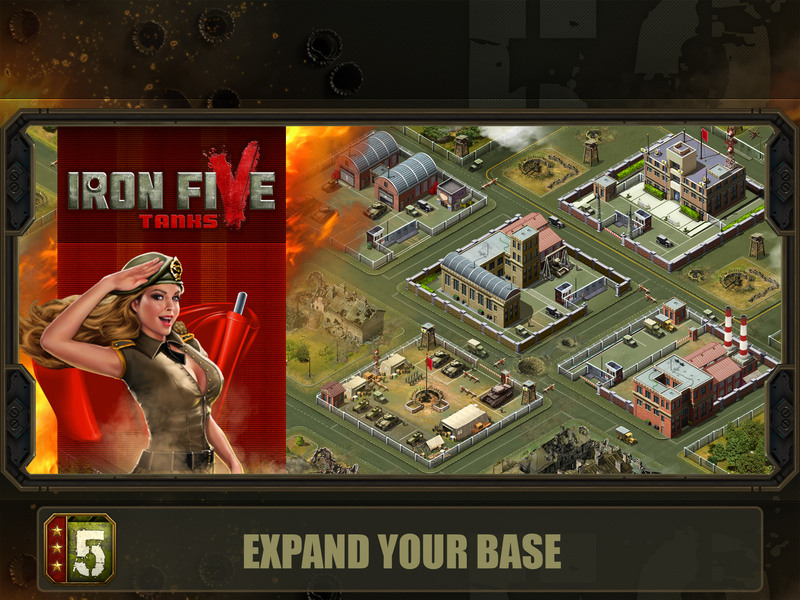 Build up your base and control the map! 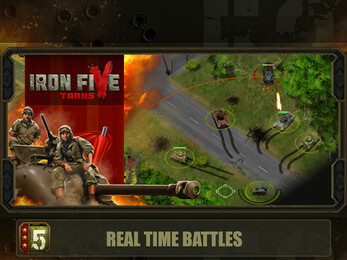 Connect online and battle other players in real-time or in asynchronous mode. This won't be an easy task, other players won't let you win easily! TRAIN & UPGRADE YOUR SQUAD! 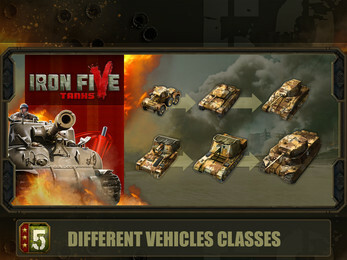 Train your crew to improve their skills and upgrade your tanks to make them even more powerful. 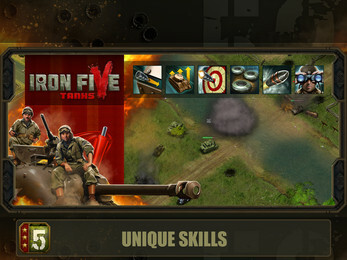 Iron 5 is free to play, but you can choose to pay real money for some extra items, which will charge your account. You can disable in-app purchasing by adjusting your device settings. The game needs some update after install, about 70 MB. If game not available in your country please write at support@iron5.com for a promocode.